To receive this request is a little show of support for the way I am trying to present myself so I am genuinely honoured. The feature includes a pictorial of yours truly, along with a little interview about my grooming habits and general outlook on one's appearance. Modern Barber Magazine is a quarterly publication, with 10,000 copies sent out to barbershops up and down the land (the public can also buy copies too). 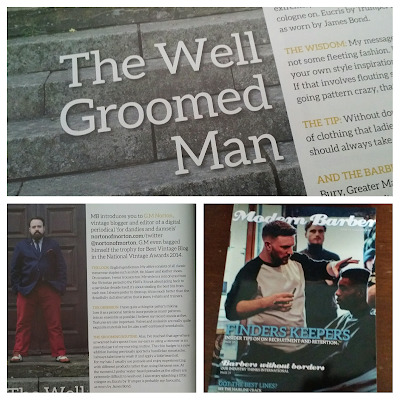 As you may have guessed, it is devoted to barbering in Blighty but as a person who is most definitely not a barber, I really enjoyed thumbing through the magazine. 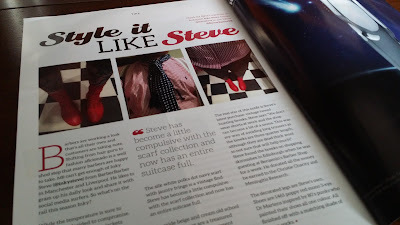 I was particularly taken with 'Style it like Steve', featuring style tips from BarberBarber's Inky Steve. 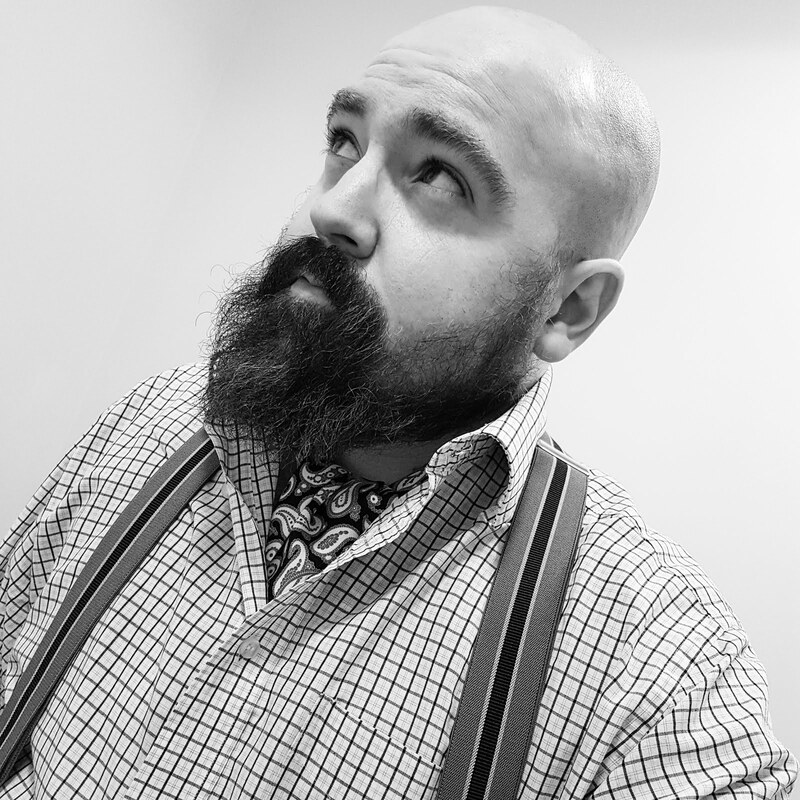 Since Steve cut my hair at my first visit to their Manchester shop, I've enjoyed following his own sartorial journey on Instagram. He really does have quite a unique style, which should only be applauded. 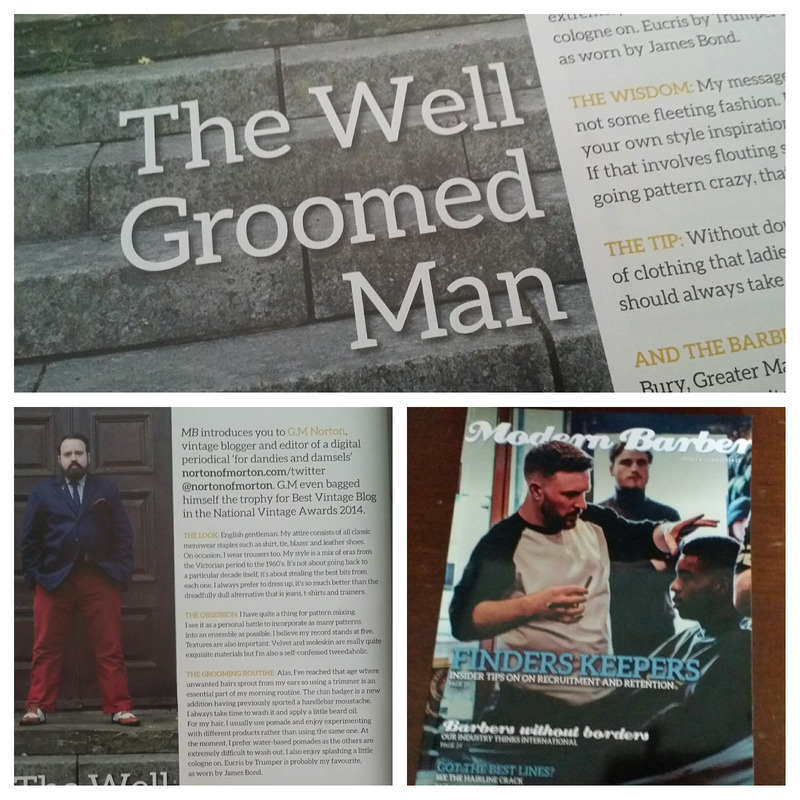 In my interview with Modern Barber, I was also pleased to be able to give a mention to my regular barbers, Stan's in Prestwich, Greater Manchester. Marvellous! 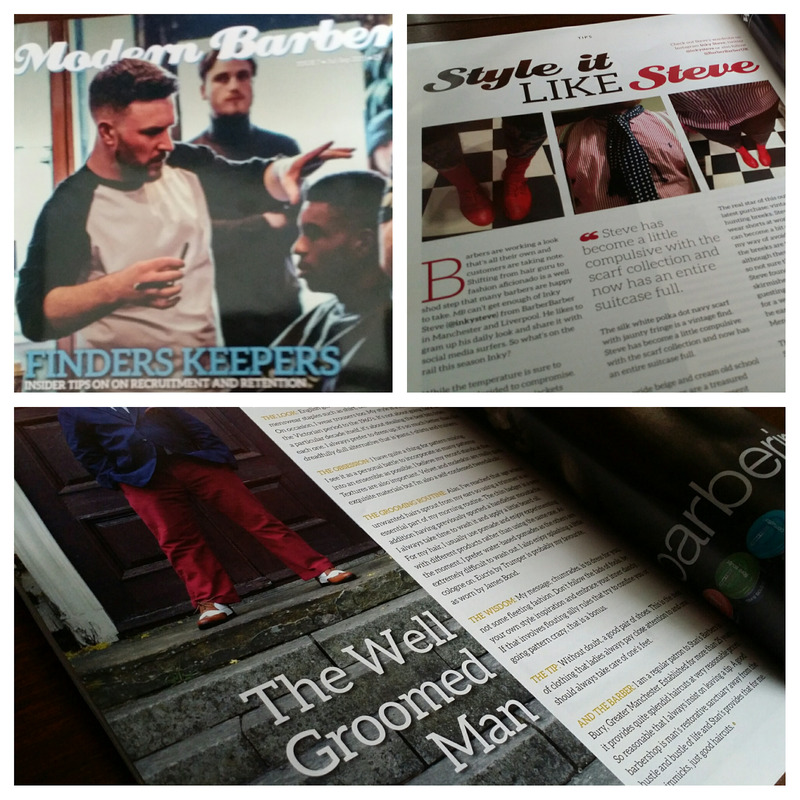 Thanks awfully to the lovely Rachel, editor of Modern Barber Magazine, for deeming me worthy of inclusion. You truly ARE a well groomed man! *Chortle* Jolly decent of you! I quite agree that print tops online. There's just something about holding a physical item in your hands. Thanks awfully! There could be worse accolades thrust on my person.